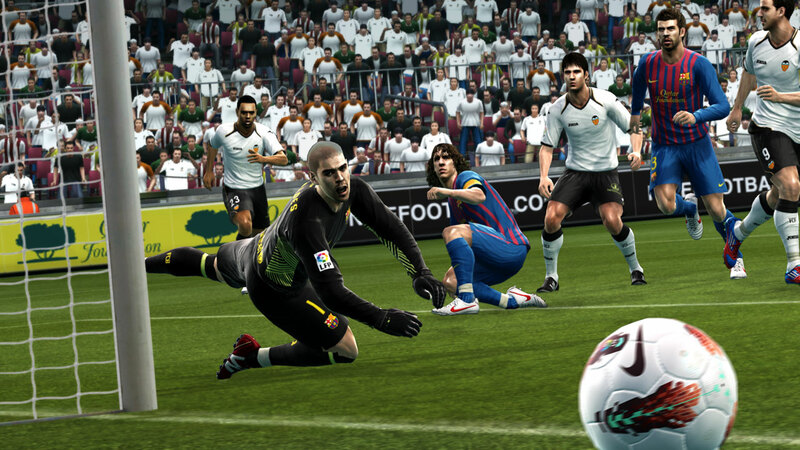 With hundreds of thousands of gamers, journalists and exhibitors all gearing up for next week's Gamescom event in Cologne, the PES community and its outsiders are preparing for the latest batch of PES 2013 content. It's been a quiet few weeks for the PES Team. But with release dates, Demo 2 details, licensing news, developer interviews, new trailers and gameplay videos all expected next week, the wait will surely be worth it. With over two weeks of gametime with Demo 1, the majority of PES fans have been able to stay content despite the lack of news - even though the 5-minute matches have probably taken their toll on most by now! But even with the limited match-times, the first public hands-on with the demo that's running on just 70% code has gone down incredibly well - an impressive 91% of our readers have left a positive review by voting in our latest poll. With Gamescom only a few days away, the PES Team are keeping their cards close to their chest. With big announcements pencilled in for next week, and with 30% still to be unveiled over the next month or so, the potential for PES 2013 is staggering. While I'm keeping my feet firmly on the ground, for the first time in a while, the ball appears to be in Konami's court. But looking back at previous editions on this current generation, admittedly, there's still a long way to go. However, given what we've seen so far, Konami are definitely hitting the right notes this year - on and off the field. We've got a lot planned for the site next week so be sure to keep a close eye on the front page (as well as our tweets) over the next 7 days. Next week is going to be busy and that's a promise - just make sure you're ready for it. In other news, Konami have set up a brand-new Twitter account for the PES Team. For exclusive tweets direct from the PES camp, make sure you're following @officialPES. Finally, the PESRankings Main Event 2012 takes place tomorrow. With the UK PES 2012 Champion title and over £3000 in prizes up for grabs, we'd like to wish everyone the best of luck for the country's most prestigious PES tournament of the year. See @PESRankings' timeline for live updates from the event.